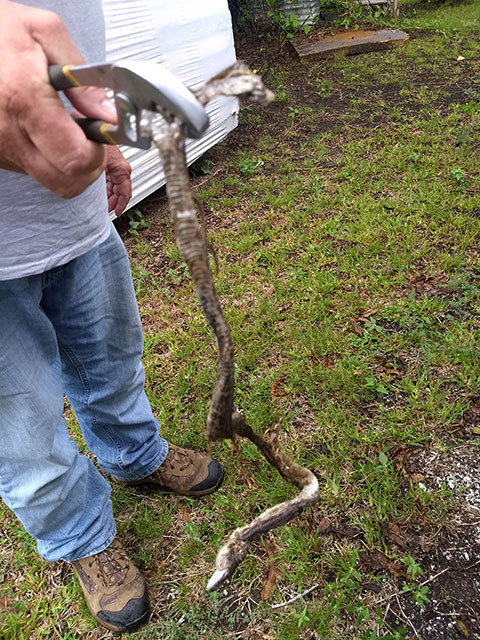 Yes, for some reason a snake assaulted one of our AC units. He lost. Hopefully he didn’t get a chance to summon reinforcements. 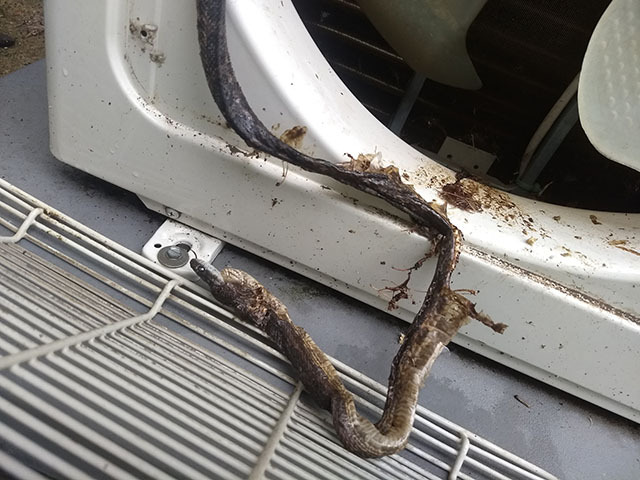 Snakes on a plane…ur…I mean…in an air-conditioner. Unit detected the error condition (fan malfunction) and shut down with an error-code. At least the fix was simple! This entry was posted in Heat/Air Conditioning, Miscellaneous. Bookmark the permalink.